I promised I would share another sewing project. This one made me giddy, it was so easy. 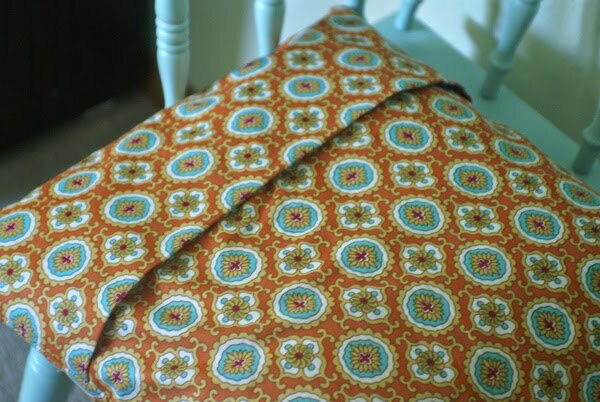 I used this photo tutorial, but here are the basic steps for an envelope pillow cover. 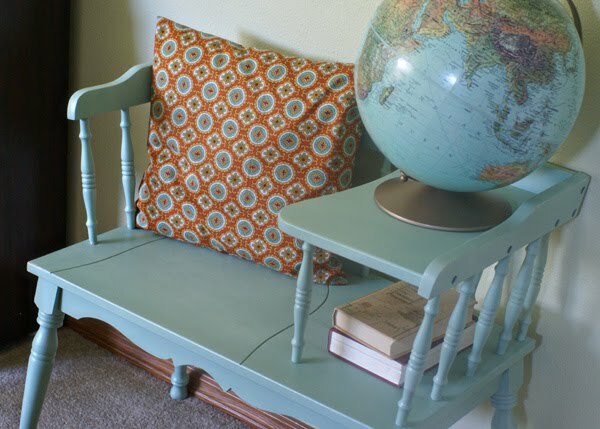 Find an old pillow or pillowform. Measure the width and add an inch. Measure the length and multiply by 2.5. Cut fabric to those dimensions. 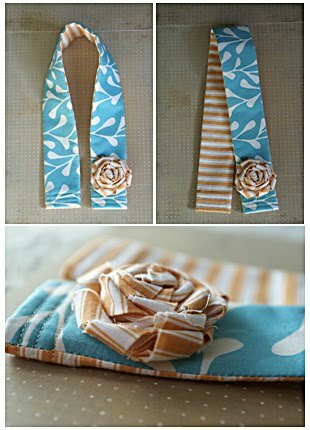 Fold fabric according to directions. 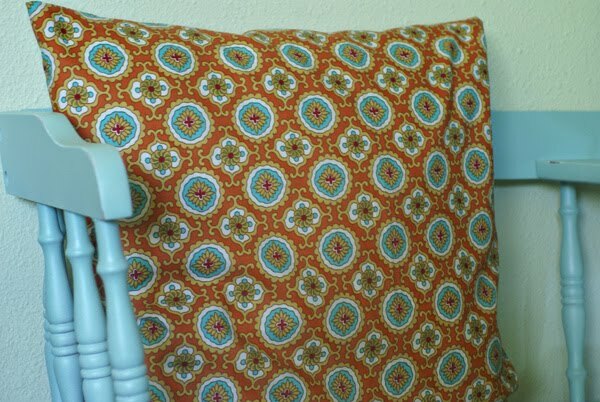 Sew two seams with 1/2″ allowance, turn right-side out, and insert pillow. Here’s what the back “envelope” part looks like. Sewing this produced such a high that I couldn’t stop there. 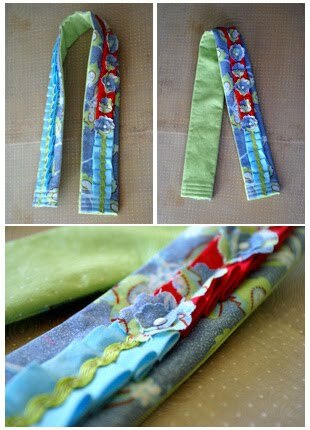 So I made three more camera strap covers and tried out different ways of embellishing them. I let my bff choose first, and I’m going to let one of my readers choose second! Note: The covers should fit any standard DSLR camera strap. For those of you who own a point and shoot, take heart. It’s on my list to make a couple of those straps in the near future, and I’ll have another giveaway when I do. I will take entries through Wednesday at 9:00 PM PST and announce the winner on Thursday. In the meantime, go make one of your pillows a new outfit!